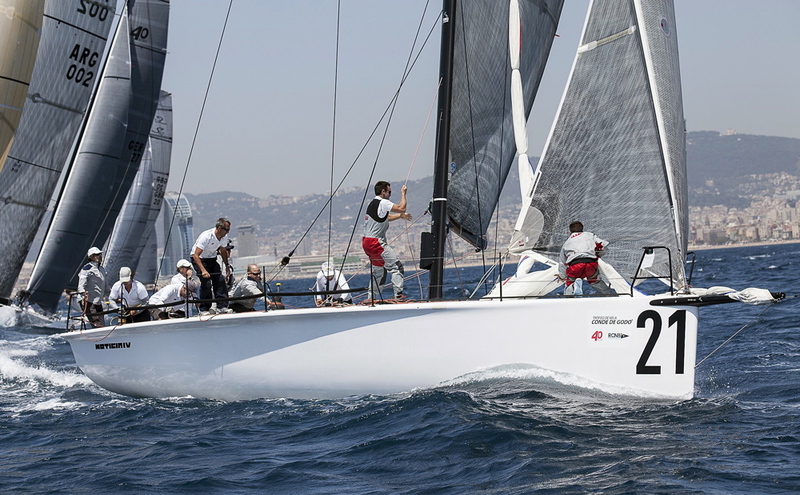 The second day of the 39 Trofeo Conde de Godo saw the opening of the amateur class races for the ORC and J80 fleets, and continuity of the classes scheduled for Wally, TP52 and Soto 40. The 60 strong fleet enjoyed excellent sailing conditions off the coast of Barcelona, ​​which has offered unparalleled wind conditions that have peaked at 20 knots. After two races in the TP52 class Ran and Audi Azzurra are first and second respectively, locked on nine points followed by Quantum Racing in third on twelve points. It was tight times between the five TP52 who changed positions during the two races today. Quantum Racing with Juan Vila as navigator aboard, won the first race of the day thanks to a well executed strategic plan, followed by the Audi Azzura and Ran. The second race was won by Ran, followed by Quantum Racing and Audi Azzurra, whose performance cost them the overall lead. For the Soto 40s the day began at the Real Club Nautico de Barcelona where the Iberdrola Team were disqualified from yesterday's first race after a protest was lodged against them. With this setback behind them they won both races while Ngoni skippered by Kevin Spronl settled for a pair of seconds and News IV clocked up two thirds. Ngoni continues to lead overall with seven points, followed by News IV Cabiedes with 12 points. Despite putting up a good fight with two first places, Iberdrola was disappointed with yesterday's disqualification and rounded up the podium with 18 points. 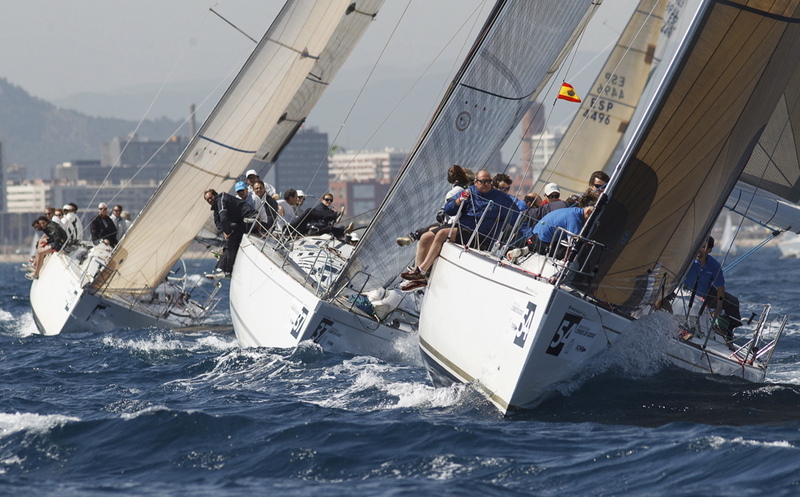 The second day of the 39 Trofeo Conde de Godo saw the Wally fleet split in both classes. The upper hand went to Magic Carpet 2 in group 1 and Frenchman Olivier Lozacchmeur's Roycan of Group 2. In group 1, Magic Carpet 2 won both races while in Group 2 victory became tighter, with the overlaod lead snatched by Roycan 2, despite a magnificent performance by Spanish boat Tiketitoo. The J-80s and the large ORC fleet competed in their first day of racing. 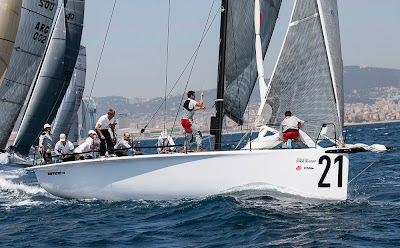 Among the J-80s, Nilsfik owned by Jose Maria Van der Ploeg dominated in both races, while Mikaku finished the day with two seconds to be in second overall followed by Francesc Roig's Flash Back in third on five points. The ORC class was still in competition at the time of writing this press release and after first day the winners appeared to be Antilope Willem Wester in ORC 0, the Lone II Ricard Alisna in ORC1 and Bruix IV Michelangelo Mercadal.